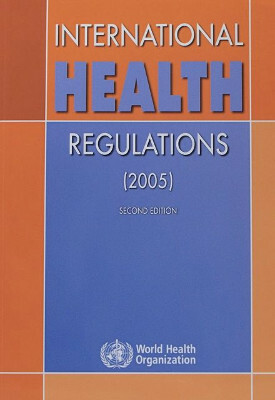 The example of the complete revision (rSEA) of the Swiss Epidemics Act (SEA) can demonstrate to the citizens of Brazil, China, India, Russia, the USA, the UK and other nations, how the International Health Regulations (IHR) of the World Health Organization (WHO) transfer total power from States Parties to WHO’s Director-General and to his Boss Bill Gates. Along these lines the pharmaceutical industry, by way of its influence on WHO and its Director-General, obtains general powers over the citizens of all States Parties (the Swiss included). Must Read If You Live in a Member State of WHO’s IHR or if your nation state is in negociations to join. 5. The views of the Emergency Committee shall be forwarded to the Director-General for consideration (only). The Director-General shall make the final determination (exercising the power of an absolute ruler) on these matters. 6. The Director-General shall communicate to States Parties the determination and the termination of a public health emergency of international concern, any health measure taken by the State Party concerned, any temporary recommendation, and the modification, extension and termination of such recommendations, together with the views of the Emergency Committee. The Director-General shall inform conveyance operators through States Parties and the relevant international agencies of such temporary recommendations, including their modification, extension or termination. The Director-General shall subsequently make such information and recommendations available to the general public. 7. States Parties (Switzerland, UK, USA etc.) in whose territories the event has occurred may (only) propose to the Director-General the termination of a public health emergency of international concern and/or the temporary recommendations. Afghanistan, Albania, Algeria, Andorra, Angola, Antigua and Barbuda, Argentina, Armenia, Australia, Austria, Azerbaijan, Bahamas, Bahrain, Bangladesh, Barbados, Belarus, Belgium, Belize, Benin, Bhutan, Bolivia, Bosnia and Herzegovina, Botswana, Brazil, Brunei Darussalam, Bulgaria, Burkina Faso, Burundi, Cambodia, Cameroon, Canada, Cape Verde, Central African Republic, Chad, Chile, China, Colombia, Comoros, Congo, Cook Islands, Costa Rica, Côte d’Ivoire, Croatia, Cuba, Cyprus, Czech Republic, Democratic People’s Republic of Korea, Democratic Republic of the Congo, Denmark, Djibouti, Dominica, Dominican Republic, Ecuador, Egypt, El Salvador, Equatorial Guinea, Eritrea, Estonia, Ethiopia, Fiji, Finland, France, Gabon, Gambia, Georgia, Germany, Ghana, Greece, Grenada, Guatemala, Guinea, Guinea-Bissau, Guyana, Haiti, Holy See, Honduras, Hungary, Iceland, India, Indonesia, Iran, Iraq, Ireland, Israel, Italy, Jamaica, Japan, Jordan, Kazakhstan, Kenya, Kiribati, Kuwait, Kyrgyzstan, Lao People’s Democratic Republic, Latvia, Lebanon, Lesotho, Liberia, Libyan Arab Jamahiriya, Lithuania, Luxembourg, Madagascar, Malawi, Malaysia, Maldives, Mali, Malta, Marshall Islands, Mauritania, Mauritius, Mexico, Micronesia, Moldova, Monaco, Mongolia, Montenegro, Morocco, Mozambique, Myanmar, Namibia, Nauru, Nepal, Netherlands, New Zealand, Nicaragua, Niger, Nigeria, Niue, Norway, Oman, Pakistan, Palau, Panama, Papua New Guinea, Paraguay, Peru, Philippines, Poland, Portugal, Qatar, Republic of Korea, Romania, Russian Federation, Rwanda, Saint Kitts and Nevis, Saint Lucia, Saint Vincent and the Grenadines, Samoa, San Marino, Sao Tome and Principe, Saudi Arabia, Senegal, Serbia, Seychelles, Sierra Leone, Singapore, Slovakia, Slovenia, Solomon Islands, Somalia, South Africa, Spain, Sri Lanka, Sudan, Suriname, Swaziland, Sweden, Switzerland, Syrian Arab Republic, Tajikistan, Thailand, The former Yugoslav Republic of Macedonia, Timor-Leste, Togo, Tonga, Trinidad and Tobago, Tunisia, Turkey, Turkmenistan, Tuvalu, Uganda, Ukraine, United Arab Emirates, United Kingdom of Great Britain and Northern Ireland, United Republic of Tanzania, United States of America, Uruguay, Uzbekistan, Vanuatu, Venezuela, Viet Nam, Yemen, Zambia, Zimbabwe. The following analysis might be especially interesting to Americans as the political systems of the U.S. and Switzerland are very similar. The complete revision (rSEA) of the Swiss Epidemics Act (SEA) is another attempt to switch the approved Swiss health care1 from the responsibility of the cantons (states) to the centralized control by the Federal Government. Although the Swiss Parliament has rejected the Federal Act on Prevention and Health Promotion (Prevention Act) in autumn 2012, the same objectives reappear in the rSEA: the undermining of federalism and state control of citizens’ behavior. These proceedings disregard once again the will of the sovereign. The people in our country are independent and do not want any “behavior control”. They stand by Switzerland’s federal structure. Various citizens’ committees have brought the referendum about with great success (around 80,000 signatures) so that the people of Switzerland can vote on the revised Epidemics Act on 22 September 2013. Switzerland needs no revision of the Epidemics Act! The current act of 18 September 1970 (last adjustment in 2008) is excellent and covers all eventualities. It has been proven for over 40 years and has been continuously adapted to infectiological challenges. It served in full its purpose to fight communicable diseases to humans. The act’s content is understandable for every citizen and provides high security for everyone. The competences and duties of the authority are clearly defined in accordance with our Swiss federal system. The current Epidemics Act is based on medical and scientific foundations. The individual rights are safeguarded. It is the nature of federalism that the cantons regulate their affairs in accordance with the principle of subsidiarity: the federal government will only act where the cantons are not able to cope with their tasks. The same principle applies in the relation between the canton and the communes. The proposed Epidemics Act would be a paradigm change. The health sector, which is within the competence of the cantons, would to a large extend be withdrawn from cantonal sovereignty and handed over to the federal government. Communes and cantons would be mere agents of centralized instructions. The Federal Council intends to take this strange step “to strengthen the leadership role of the federal authorities” (Message on the revision of the SEA, p. 336). It is undemocratic and against our federalism if the federal government enacts an Act for itself to seize power. The people are the sovereign, they do not want to be lead anywhere. The revised Epidemics Act makes the concentration of power in the FOPH obvious. A mere federal authority would have the final say throughout the country and would be given a free hand as the central command over the population and the cantons. Such a thing has never before existed in Switzerland! According to rSEA, the FOPH could, for example, impose its national programs throughout Switzerland (Art. 5)3, it could dictate the cantons which measures they were to take against the population (Art. 8)4 and, according to the Message of the Federal Council (p. 370), organize “broad based campaigns for behaviour control”. The FOPH would thus be authorized to collect our personal health data, to create personal files (“Fichen”) and pass them on, even to the authorities of other states and to supranational and international organisations at any time (Art. 60, Art. 62)5. Given such great power makes us feel reminiscent of the “Comitée du salut public” (so-called Welfare Committee) at the time of the French Revolution. We are also reminded of totalitarian states which regulate and determine the most intimate spheres of their citizens’ lives; more recently of the American “Homeland Security”. In plain language: With the new Epidemics Act, the FOPH would be equipped with the abundance of power of an absolutist ruler while at the same time the separation of powers would be resolved and the cantons would be degraded to law enforcement agents: The FOPH would determine the basis of fighting the epidemics (legislative function), at the same time it would tell the cantons, population, health workers and the laboratories what they have to do (executive function), and finally it would “monitor” and “evaluate” its own encroachments (judiciary function)! 4. No Emergency Law in everyday life! In the current Epidemics Act (SEA), administrative coercive measures are limited to “exceptional circumstances”.6 Article 10 of the SEA is based on the emergency ordinances of the Federal Council in accordance with Article 185, Paragraph 3 of the Federal Constitution.7 Emergency regulations are to be limited in time. With Article 6 of the rSEA something new would be introduced: the “particular situation”. An unprecedented intrusion into our privacy would be made possible. E.g. a “moderate pandemic influenza”8 would be included in such particular situations, an elastic concept that can also include the annual flu epidemic. Without emergency decree, coercive measures could therefore be taken by the Federal Council. Hence the Message of the Federal Council (p. 365): “In particular situations the Federal Council shall get the power to declare vaccinations mandatory for certain population groups.” Referring to Article 6b rSEA the WHO would get a statutory power of decision in Switzerland for the first time. Paragraph 1: A particular situation exists if: […] b. The World Health Organization (WHO) has found that there is a health risk of international scope and by this public health in Switzerland would be at risk. Such a law, with which Switzerland assigns its national decision-making power and thus a part of its sovereignty to an international organization, has never existed before. Remember: In 2009 WHO proclaimed the highest pandemic level for the swine flu – with all the consequences for Switzerland. In retrospect, it was found that swine flu was less dangerous than a normal seasonal flu. Just imagine if at that time, unexamined vaccines would have been rushed off and used to mandatorily vaccinate our children as a vulnerable part of the population or elderly people or pregnant women. Since more and more information is available about the intertwining of the pharmaceutical industry with the WHO, serious concerns in relation to this Act are indicated. We neither need “behavior control” nor remote control from any Federal Authority! Therefore, a reasonable savings proposal for our government is to cancel without substitution all national programs and the related PR consultants and use the money for something reasonable. That means in plain language: With this Act, we would have reached the tyrannical State or a dictatorship of health.11 Each vaccination (injection) is legally a physical injury.12 Therefore everyone must be able to choose freely whether he wants to be vaccinated by a doctor he trusts in. People who do not want to be vaccinated for personal, spiritual or religious reasons must be respected in their decision. Does the Government want to ensure now with a centralized coercive apparatus that Articles 6 and 21 would be enforced against the wishes of the individual? The vast majority of the population is in favor of reasonable vaccination, but opposes to mandatory vaccination. Particularly alarming is the disclosure of personal data, including data on health, to foreign authorities as well as supranational and international organizations (Article 62). We do not wish our privacy to be internationalized! The Europe-wide eHealth online database has already been planned. The corresponding pilot project in Switzerland is the e-vaccination dossier. Should this to date voluntary project become mandatory with the rSEA? This could serve well to enforce Article 21, par. c. rSEA: as law enforcement agents the cantons should “ensure that the persons affected by the vaccination recommendations are fully vaccinated”. All of these new creations would not be free of cost. In normal times, according to the Federal Council’s Message, from 2013 on they would cost 4.4 million francs annually and 300 job percentage points15 more than today. In special situations – for example every winter during flu season – of course far larger sums would be needed. Where the Federal Council wants to take those millions remains untold. Although the cantons will be degraded to mere law enforcement agents, it will not protect them from a cost increase of at least 4 million Swiss francs or 10.7% – so the Message (p. 440). And if that were not enough: with Article 70 rSEA, the Federal Government would hand over a blank check to the pharmaceutical industry to cover the damage which may arise as a result of a recommended or ordered use of remedies issued by the Federal Government! This scheme is already included in the current SEA, we think it should be deleted. With Article 6 rSEA the WHO gets the right to determine when “public health is at risk” in Switzerland. With the increasing influence of the pharmaceutical industry and private donors to the WHO, the latter is no longer independent, and there it is at risk of deviating from its original objectives. The WHO designs its vaccination recommendations under the eyes of the global pharmaceutical industry. The SAGE (Strategic Advisory Group of Experts on Immunization)17 of the WHO, which defines the pandemic levels, has strong affiliations to the pharmaceutical industry. In addition, the WHO is increasingly involved in financial dependence on private donors. This was the title of the “Tages-Anzeiger” on 22 February 2013: “Bill Gates dominiert zusehends die WHO” (Bill Gates increasingly dominates the WHO). In America, new laws in health care always emerged in the context of the pharmaceutical industry’s interests and positions in politics.18 In Switzerland, you label that as “pigs pot – pigs pot lid”. – It raises the question to what extent interests of the pharmaceutical industry have played a role in drafting the rSEA. 10. Where does the complete revision of the SEA imposed from outside originate? Since the bill is absolutely untypical of Switzerland, we have done some research on where this essentially totalitarian approach comes from. Our research led us to the German sociologist and political scientist Ilona Kickbusch19, inter alia consultant of the FOPH. Along with Thomas Zeltner – she has already been the driving force behind the Prevention Act20. Note: Ilona Kickbusch has never been a member of the medical faculty, and she completely lacks an understanding of our Confederation and its health care system. As a sociologist / political scientist her approach is a sociological and political, not a medical one. She relies on obsolete approaches including Third-Way theorist Anthony Giddens and Gregory Bateson, who, as a cultural anthropologist at the service of the CIA, prepared the ground for the US hegemony after the Second World War. Kickbusch’s consultancy work in various national and international bodies in the health care system does not seem to be motivated by a genuine concern for health. The “Graduate Institute Geneva”, whose post as Director for Global Health she holds, collaborates with the Novartis Foundation for sustainable development and is partially financed by the Rockefeller Foundation21. The Swiss electorate is well advised to sharply rebuff this access to national sovereignty and maintains its proven federal healthcare system. 01 “OECD und WHO halten fest, dass das Schweizerische Gesundheitssystem im internationalen Wettbewerb zu den besten gehört. (OECD and WHO emphasise that in international competition the Swiss health care system belongs to the best. )” Stefan Spycher, OECD-WHO-Analyse des schweizerischen Gesundheitssystems: Alter Wein in neuen Schläuchen? In: Die Volkswirtschaft, 3-2012, p. 45. 02 Federal Act on the Control of Communicable Diseases in Humans (Epidemics Act, SEA), originally introduced on 18 September 1970 (as of 1 January 2013). 1The Federal Office for Public Health publishes weekly, monthly and annual compilations on the basis of the notifications received in accordance with Article 27. 2 If necessary it shall inform the authorities, the medical profession and the public by more releases. 11 see July Zeh, Corpus Delicti – ein Prozess, Frankfurt am Main 2009. 19 During her studies in Constance she was a member of the left spectrum in the student body and the academic staff, then she made a meteoric rise, or would you rather say “march through the institutions”? For many years she has worked at the WHO headquarters in Geneva and she has an active and comprehensive consulting service in Switzerland (FOPH, Careum, Public Health Switzerland, Health Promotion Switzerland) and abroad (Rockefeller Foundation, International Social Security Association). I. Kickbusch’s customers include the giant pharmaceutical and vaccine manufacturer Merck and Pfizer Europe and Dohme MSD. The question is whether Mrs Kickbusch acts of her own accord or performs “foreign orders”.